Sponsored by the Water Resources Speciality Group, Urban Geography Speciality Group, and the Cultural and Political Ecology (CAPE) Specialty Group. In contrast to the rich literature on the politics of piped water and water scarcity, scholars within critical human geography and urban political ecology have only recently begun to substantially engage with urban flooding (Mustafa 2005; Smith 2006; Padawangi 2014; Ranganathan 2015; Arabindoo 2016; Cousins 2017). In the wake of deadly flood events and violent storms this year across South Asia, the US, and the Caribbean, there is a need for further research into the political ecologies of urban flooding in contemporary cities. This session aims to contribute to this research agenda by critically reflecting on the politics and history of urban flood risk and flood management in cities around the world. Informed by scholarship in postcolonial urban theory and creative ways of rethinking comparative urbanism (Robinson 2006, 2011), this session intends to facilitate a dialogue across cities of the global north and the global south. While mainstream urban theory has long assigned northern and southern cities distinct literatures and conceptual categories, the planetary scale of climate change and urbanization — and the recognition of the coloniality of urban ecologies within the global north — have further eroded the validity of such dualisms. More than ever, there is a need to create opportunities for dialogue and learning across diverse cities to critically examine the entanglements of ecological and urban processes. We ask: what new insights regarding the causes and implications of unequal flood risk can be gleaned from engaging in ‘transnational learning’ (Ranganathan 2015)? What can we learn about the social, political, and ecological dimensions of urban flooding and flood management by posing ‘third world questions of the first world’ (Roy 2003)? How is unequal flood risk historically produced? What are the causes and implications of unequal flood risk? What are the differentiated socio-spatial impacts of urban flooding and flood mitigation projects, and how are these produced? What are the material geographies of flood risk? 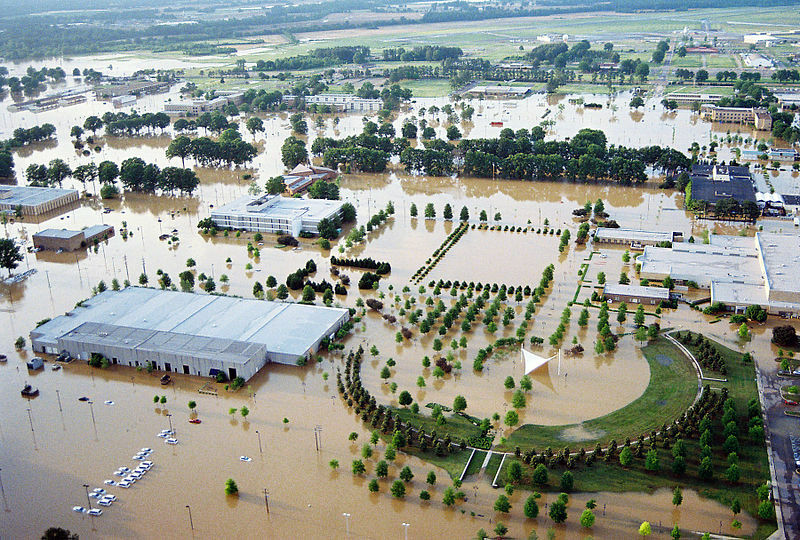 How are urban flooding and urban land/wetland transformation co-produced? How are processes of accumulation by dispossession and speculative development entangled in urban flooding? How does urban flooding re-inscribe and/or transform categories of difference (such as race, caste, class, gender)? What are the relationships between climate change and the contemporary political ecologies of urban flooding? How do urban residents organize to achieve ecological security from both the threat of flooding and the threat of displacement/forced evictions carried out in the name of urban flood management? Interested presenters should email their abstract of no more than 250 words (along with their affiliation and email address) to emmacolven@ucla.edu, nate.millington@uct.ac.za and malini@american.edu by October 18, 2017. Presenters will be notified by October 21, 2017 and asked to register their abstracts by October 25, 2017. Papers will be due April 1, 2018. Arabindoo, P. (2016). Unprecedented natures? An anatomy of the Chennai floods. City, 20 (6), 786-807. Cousins, J. J. (2017). ‘Of floods and droughts: The uneven politics of stormwater in Los Angeles’. Political Geography, 60, 34-46. Padawangi, R. (2014). Humanistic planning and urban flood disaster governance in Southeast Asia: Metro Manila and Jakarta. Asia Research Institute, National University of Singapore. Ranganathan, M., and Carolina Balazs. (2015) ‘Water marginalization at the urban fringe: environmental justice and urban political ecology across the North–South divide’. Urban Geography 36 (3): 403-423. Ranganathan, M. (2015). ‘Storm Drains as Assemblages: The Political Ecology of Flood Risk in Post‐Colonial Bangalore’. Antipode, 47(5): 1300-1320. Robinson, J. (2006) Ordinary Cities: Between Modernity and Development. London: Routledge. Robinson, J. (2011) Cities in a world of cities: the comparative gesture. International journal of urban and regional research, 35(1): 1-23. Roy, A. (2003). ‘Paradigms of propertied citizenship: Transnational techniques of analysis’. Urban Affairs Review, 38(4): 463-491. Smith, N. (2006). There’s No Such Thing as a Natural Disaster. Understanding Katrina: Perspectives from the Social Sciences.